Every Queenslander has the right to feel safe, and be safe, especially in their home. Domestic, family and sexual violence are violations of this basic human right. In response to the landmark report of the Special Taskforce on Domestic and Family Violence in Queensland, Not Now, Not Ever: Putting an End to Domestic and Family Violence in Queensland, the Queensland Government is implementing a 10-year reform program to eliminate domestic and family violence in our community. We are leading the implementation of 30 of the Not Now, Not Ever recommendations for government, as well as supporting a further 20 recommendations being led by other agencies. The Queensland Government is also committed to providing a strong, cohesive and evidence-based approach to preventing and responding to sexual violence in Queensland. Information about protection from domestic and family violence under the Domestic and Family Violence Protection Act 2012. The Queensland Domestic and Family Violence Prevention Strategy 2016-26 sets the direction for collaborative action to end domestic and family violence in Queensland, encouraging partnerships between the government, community and business. The Queensland Government has outlined a 10-year program to end domestic and family violence. The Queensland Violence against Women Prevention Plan 2016-22 outlines the actions we will take to create a community where women and girls can live without the fear, threat or experience of violence. 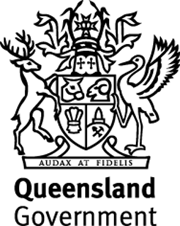 The Queensland Government is committed to preventing and responding to all forms of sexual violence. This newsletter shares information about what is happening across the Queensland Government to help end domestic and family violence. Please join our mailing list to receive future editions of the newsletter.